The Cuisinart Electric Wine Opener is an automatic corkscrew that can easily open up to 50 bottles of wine on just one full charge. The stainless steel exterior makes it attractive, durable and easy to clean. 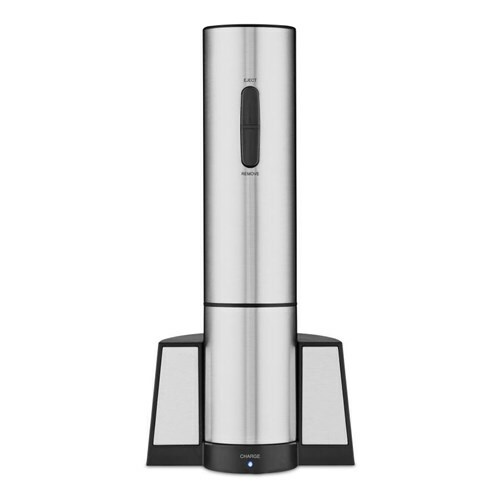 The Cuisinart Cordless Wine Opener has many exciting features for users of all types. You can extend the lifetime of your Cuisinart Cordless Wine Opener with the purchase of a FactoryOutletStore Factory Protection Plan. 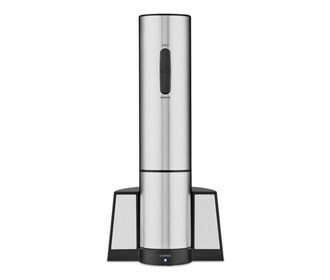 See the Cuisinart Cordless Wine Opener gallery images above for more product views. The Cuisinart Cordless Wine Opener is sold as a Brand New Unopened Item.